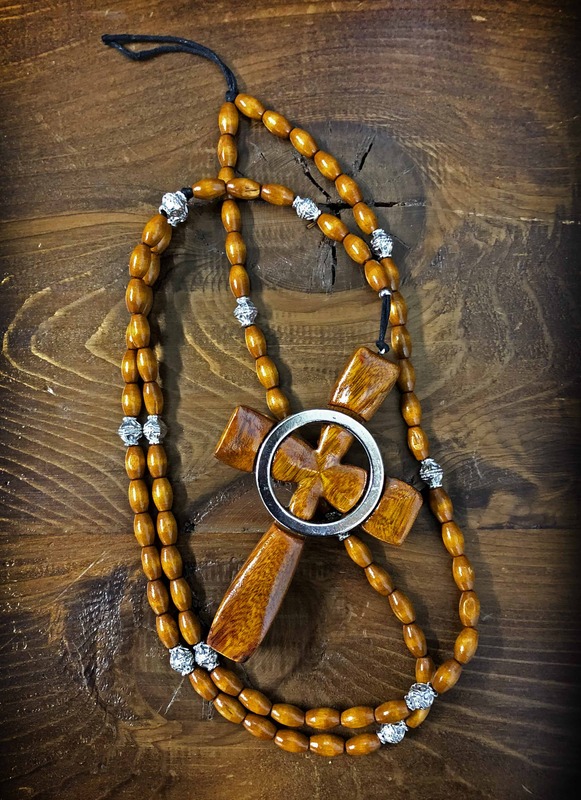 Home » Products » Rosaries » BDS Celtic Cross Necklace! 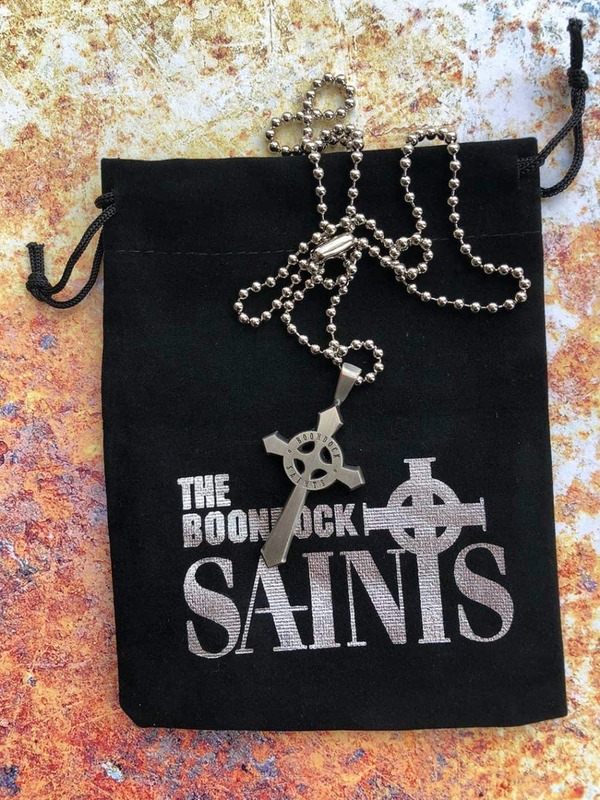 Show your support for the Boondock Saints with this cool pewter Celtic Cross Necklace! 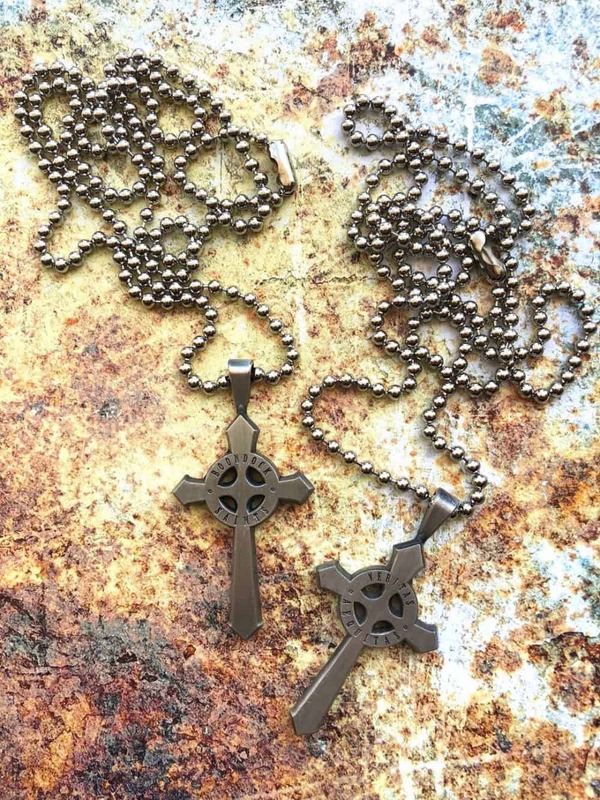 High quality pewter, beveled cross has BOONDOCK SAINTS engraved on front & VERITAS AEQUITAS on back; boasts a matte nickel finish. Includes soft, velvety Boondock collector pouch (as shown in picture).